Radiator Springs Racers opened on June 15, 2012 and was the culmination of the 1.1 billion remodel of California Adventure. 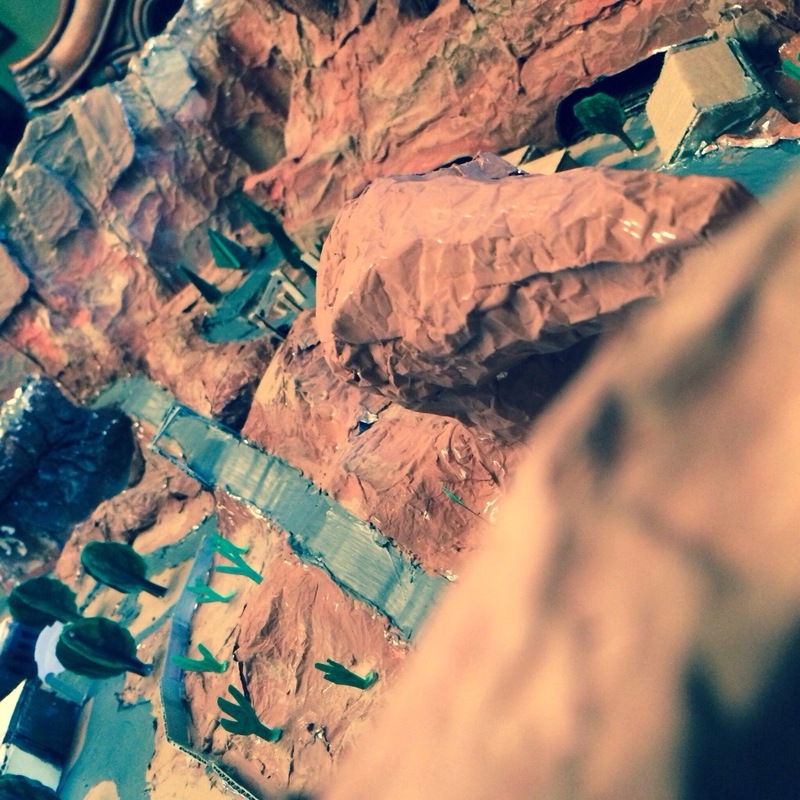 The ride features a scenic ride through Ornament Valley, Radiator Springs, and Taillight Caverns. The ride utilizes the Test Track ride system. The cars have a two universal joint bogies under the roadbed. There are two tubular steel rails which each car is attached to. This E Ticket ride takes up half of the 12 acres Cars Land. They also constructed the second largest piece of rockwork in the world. 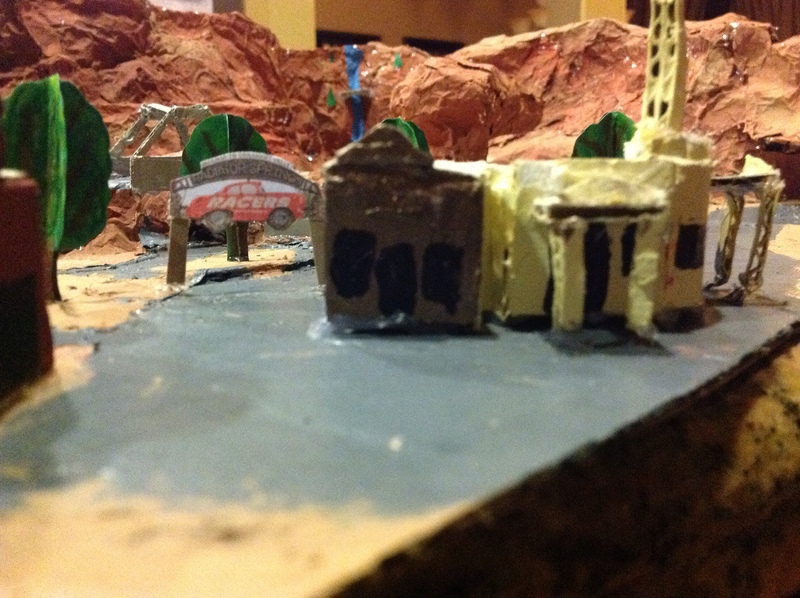 They needed this towering mountain range to cover the show building and large power lines behind the park. 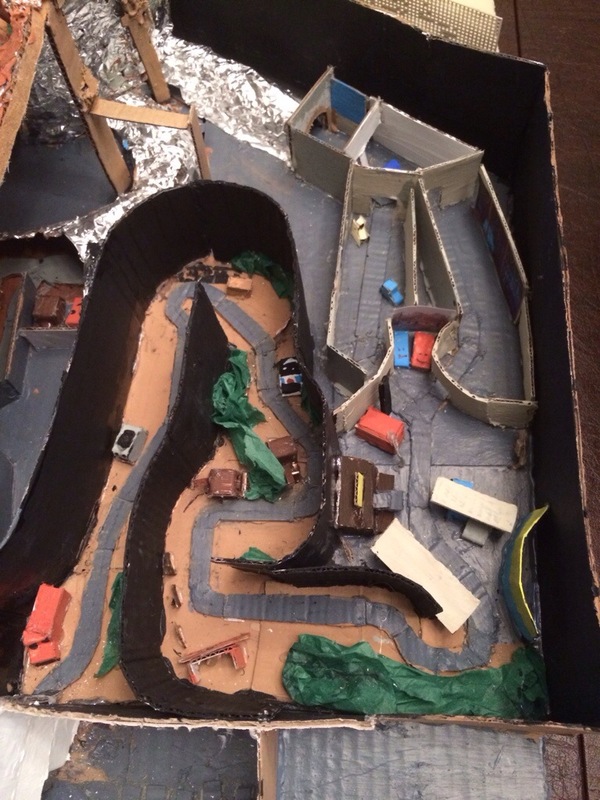 I originally built this model in June 2012 prior to the ride opening. I rebuilt the rockwork in August 2012 after learning about the rides elevation changes. 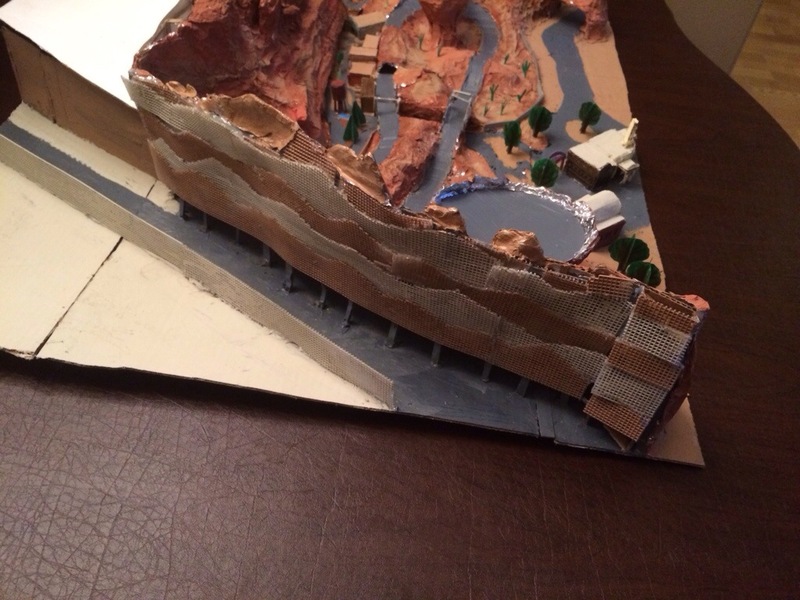 I have since learned how to make realistic rocks and paint them. 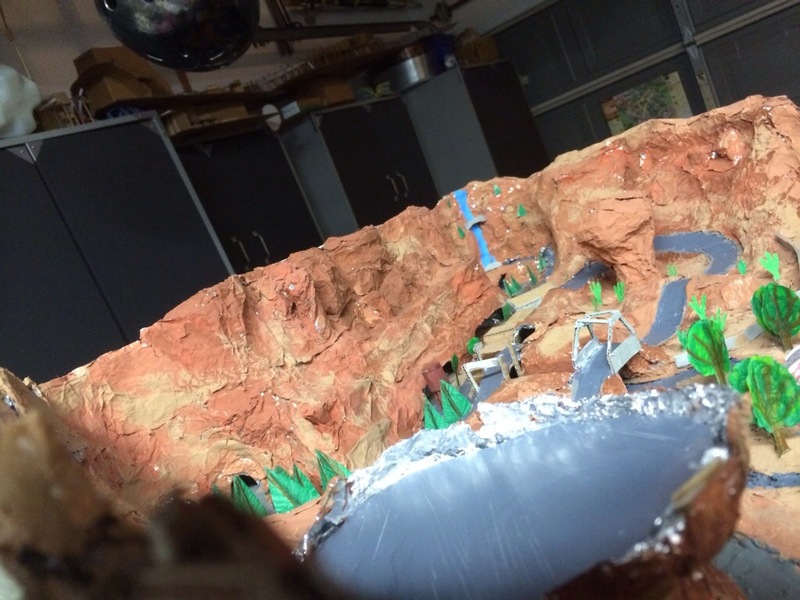 I started rebuilding the model in the spring of this year but then stopped for a few months to take on other attractions. 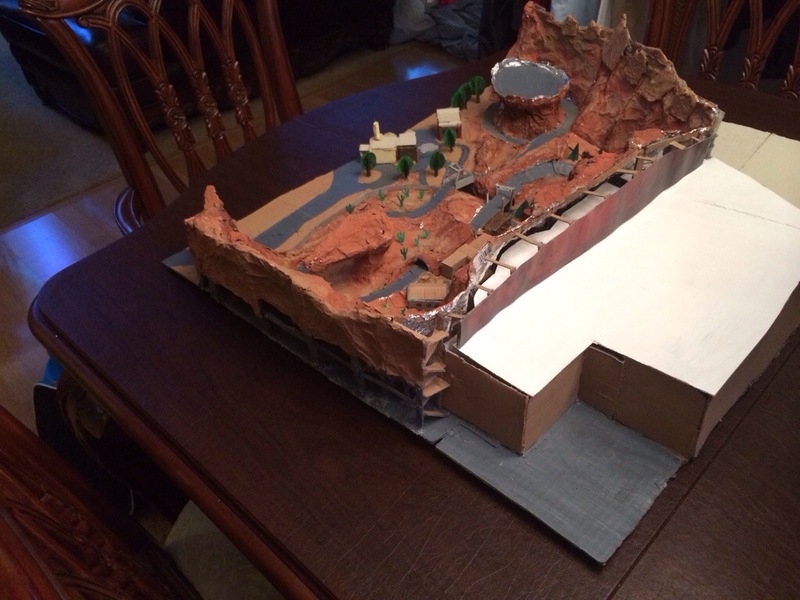 I finished remodeling Radiator Springs Racers last month and used over ten bottles of paint and many feet of foil. 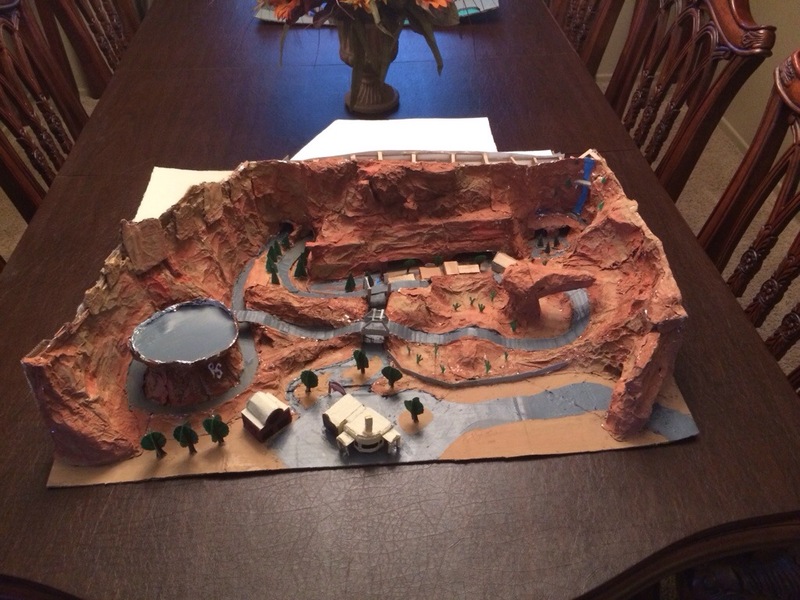 My model of Radiator Springs Racers is the one that has taken the most time to make, over two months! You can see the work and time really pays off. 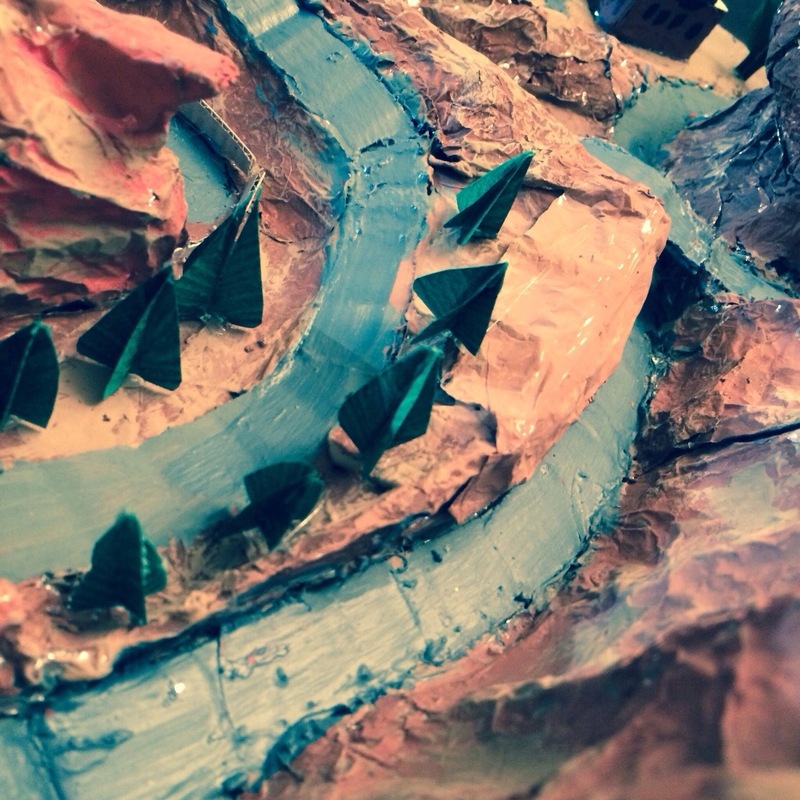 My current model is the Timber Mountain Log Ride at Knott’s Berry Farm. If you want updates on my model making, follow me on Twitter and Facebook. For ride videos visit Kolby Konnection on YouTube. GREAT job Kolby. Your models just keep getting better. Love the use of color!